Our Favorite Team enjoys attending local training classes, conferences, and conventions. 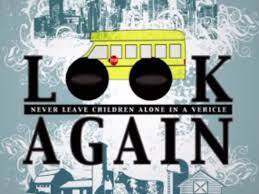 During one such conference we were introduced to a wonderful curriculum for bus safety The educational safety program for preschools and families was called EPIC Transportation Safety Education Curriculum. 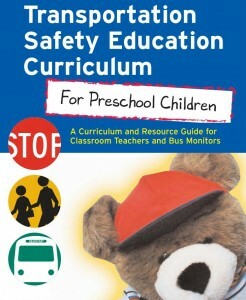 In this curriculum, vehicle safety and pedestrian safety are presented as an ongoing part of preschool education and includes components devoted to classroom activities, bus activities, parent education materials for use in home tasks, parent meetings, and home visits, to impact the health, safety, and well-being of the entire family. The Transportation Safety Education Curriculum for Preschool Children was developed in a collaborative effort between the education team and transportation staff of EPIC (Enterprise For Progress in the Community), a non-profit organization providing Head Start, Migrant and Seasonal Head Start and State Funded Preschool programs in five central Washington Counties. The curriculum was piloted during the 2001–2002 program year and is now in use throughout EPIC’s system, reaching more than 1,500 children annually. Tina Heily, Child Development Coordinator, authored the curriculum. The Migrant and Seasonal Head Start Quality Improvement Center/AED then reviewed, commented and designed the layout for the curriculum. Let me introduce Safety Sam. He is the new mascot for the safety education curriculum. It is not unusual for children to adore teddy bears and Sam is no exception. Children will love his “can do” attitude and soon will be asking you to bring him out more often to share in other learning experiences during the day. He is the newest member of your classroom and should be available to children with teacher guidance and support. Sam is a character children can identify with and learn the safety skills and concepts in each of the five safety units. Safety Sam has a lesson in each of the five units focusing on the key concepts. The lessons provide role-modeling scripts the teacher can use to help children identify the essential learning’s for the unit. Teachers may need to adapt the Safety Sam lessons to meet the individual developmental needs of the children in her classroom. Sam’s motto is “I can do it! Just wait and see! I can be safe, as safe as can be!” The accompanying storybook, “Safe as Can Be!” helps empower children to learn the new skills and concepts of safety by eliminating fears of traveling on the school bus without parents or guardians. By having teachers re-read the story often, children soon learn the repetitive phrase and can demonstrate their new acquired skills through practicing the steps in each unit. Children begin to identify with Sam and by the end of the curriculum they know they “can do it” too. Repeated skill practice is needed for children to learn new skills and concepts.